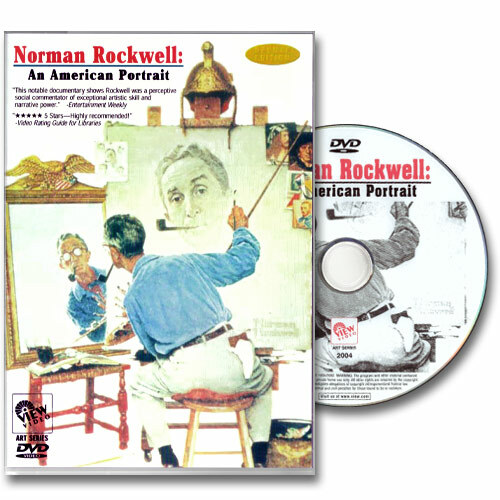 Originally produced for PBS and narrated by 3-time Emmy Award nominee Mason Adams, the documentary film Norman Rockwell: An American Portrait features the art and life of Norman Rockwell, complete with commentary and remembrances from art historians, close friends, and the artist himself to create an entertaining celebration of Norman Rockwell's American Legacy. 90 Minutes. Bonus Features include Norman Rockwell Biography, Art Gallery, Dolby Digital Stereo Audio, and Digitally Mastered Audio & Video.